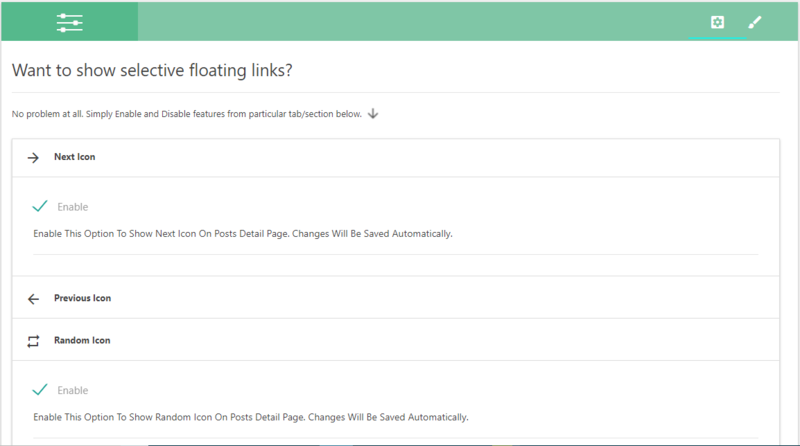 Want to show selective floating links only? No worries you can easily enable and disable any single icon within a millisecond. 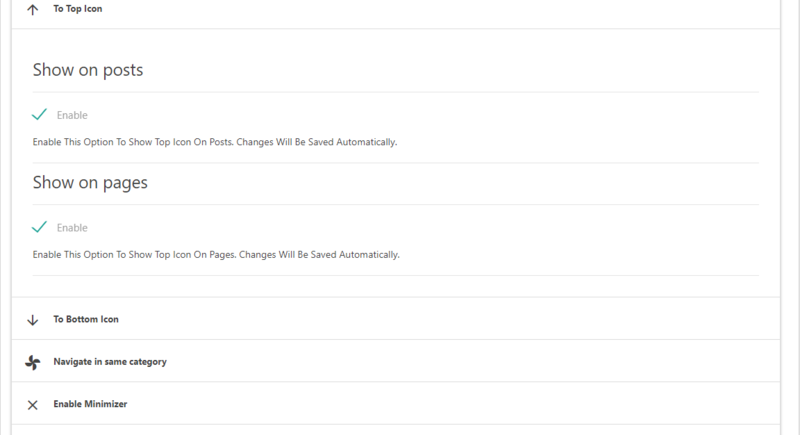 Navigate to “Floating Links” from Dashboard. You can Enable or Disable Next Icon, Previous Icon, Random Icon by clicking the checkbox. You can Enable or Disable To Top Icon, To Bottom Icon on posts or pages separately. You can also Enable or Disable Minimizer and Post Data which shows on Hover of the next and previous icon.You can also make next and previous icons to navigate in the same category.